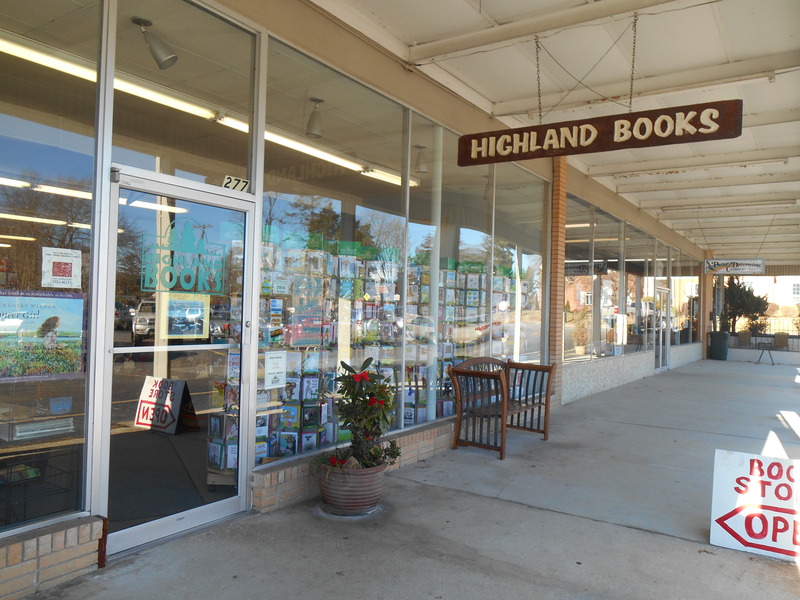 Our next stop last Thursday after lunch in Saluda was Highland Books in Brevard, North Carolina. What a nice independent bookstore in this college and tourist town. 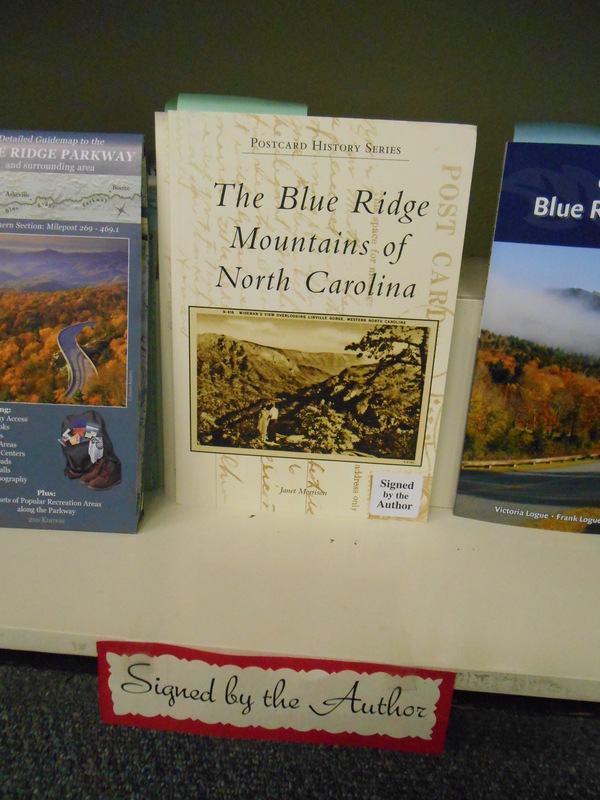 I was thrilled to find two copies of my vintage postcard book, The Blue Ridge Mountains of North Carolina, on the shelf in the regional books section! I got to meet the bookstore owners, Peggy and Tim Hansen. They asked me to autograph my books and then Peggy affixed “Autographed Copy” stickers on the front covers and put a “Signed by the Author” sign on the shelf. 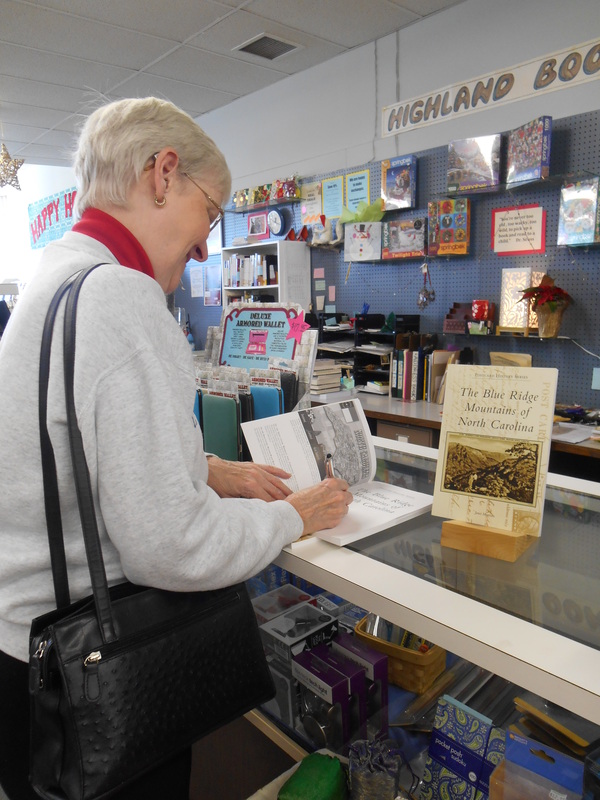 Janet, signing copies of her book at Highland Books in Brevard, NC. They were really nice people. I was glad I got to thank them personally for making my book available in their store. I could get used to this! My book on the shelf at Highland Books in Brevard, NC. Check in tomorrow to see where we went next.